A decorative decal of a robot that is ready to fight! 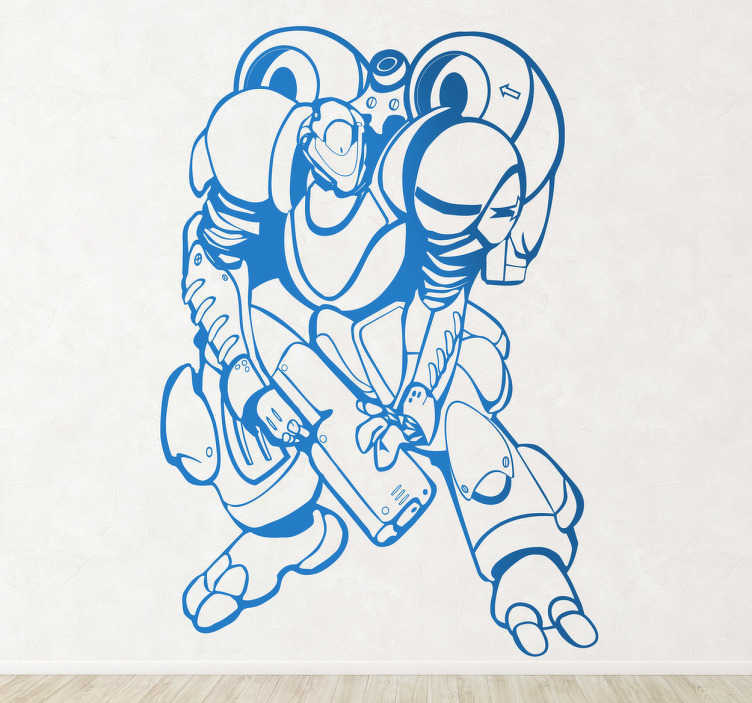 A superb design from our collection of robot wall stickers. If you love this design then get ready for an atmosphere full of action! Decorate your bedroom or your favourite room at home and give your place a new look. This robot decal ready for battle is a monochrome design so it is available in over 50 different colours. Various sizes available. Also, easy to apply and leaves no residue upon removal.